Russia responds vigorously to Israel protesting Hamas leader Ismail Haniyeh invitation to Moscow, sent only two weeks after Gaza fighting. Israel's ambassador to Moscow Gary Koren recently sent a sharp protest to Russian officials over the invitation the Russian Roreign Ministry sent to the head of the Hamas political bureau in Moscow, Channel 10 reported. Senior Israeli officials were quoted as confirming that a similar protest was also transferred to the Russian Embassy in Israel. The Russians sent the invitation to Haniyeh at the end of November, just two weeks after the end of the round of fighting in Gaza during which Hamas terrorists fired some 500 rockets into Israel. The Hamas delegation is expected to arrive at the end of the month to Moscow after the arrival of Palestinian Foreign Minister Riad al-Maliki. 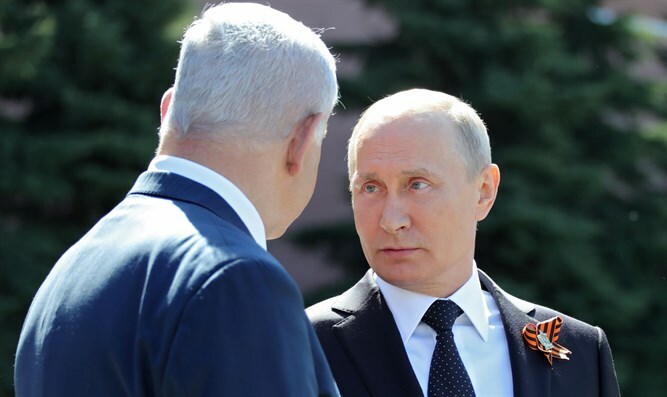 Senior Russian officials say they rejected Israel's criticism of the invitation of the Hamas delegation and replied to the Israeli diplomats: "Why do you come to us with complaints - you're talking to Hamas yourself." Two weeks ago, Russia voted against the US proposal to denounce Hamas at the UN General Assembly. Israel poked the Russians in response yesterday when it voted for a US condemnation of the Russian occupation of the Crimea. The Foreign Ministry declined to comment.